Olly Alexander has confirmed The Jonas Brothers are in talks for a reunion. 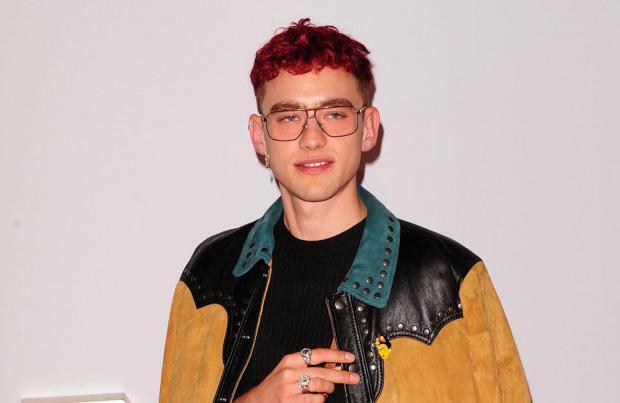 The Years & Years frontman has let slip that the rumours swirling that the 'When You Look Me In The Eyes' hitmakers – comprised of siblings Kevin, Joe and Nick Jonas – are plotting a comeback are true. Speaking to The Sun newspaper's Bizarre column, Olly spilled: "He did tell me they were reuniting and he was like, 'You cannot tell anybody'. I was like, 'OK, I'm keeping your secret, Nick'." On whether he plans on getting into the studio with the trio, he said: "Oh my God, I wish! I would do anything I could do to be involved in that. I'm available if he still wants me." The pop group are believed to be working on a new documentary and plan to release new music to accompany their show. biggest music reunions in years. It's no secret that things weren't great by the end of the Jonas Brothers, but blood is thicker than water and they've healed their rift in the years since the split. After enjoying solo music success and taking time to work on passion projects, they feel that now is the right time to get back together." Kevin, Joe and Nick flew into London to discuss their plans to create some brand new tunes, which would be the first release since 2009's 'Lines, Vines and Trying Times'. The group were formed in 2005 and were very successful, selling over 20 million records worldwide, but a "deep rift" and "a big disagreement over their music direction" saw the trio cancel their 2013 comeback tour just two days in. Back in 2015, Joe said a reunion "could easily happen". And who knows – years from now we could be like, 'All right, let's make a record.' It could easily happen."